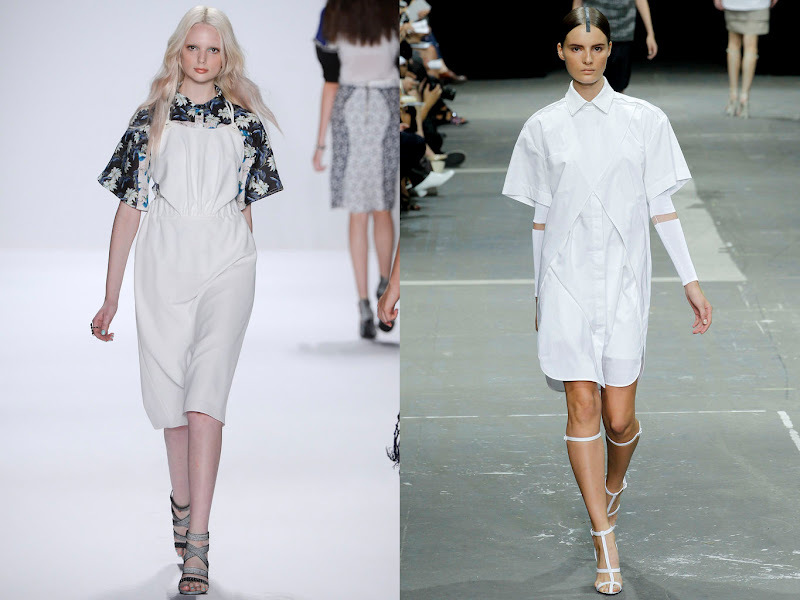 Today is the last day of NYFW and I wanted to share some of my favorite looks for Spring 2013. 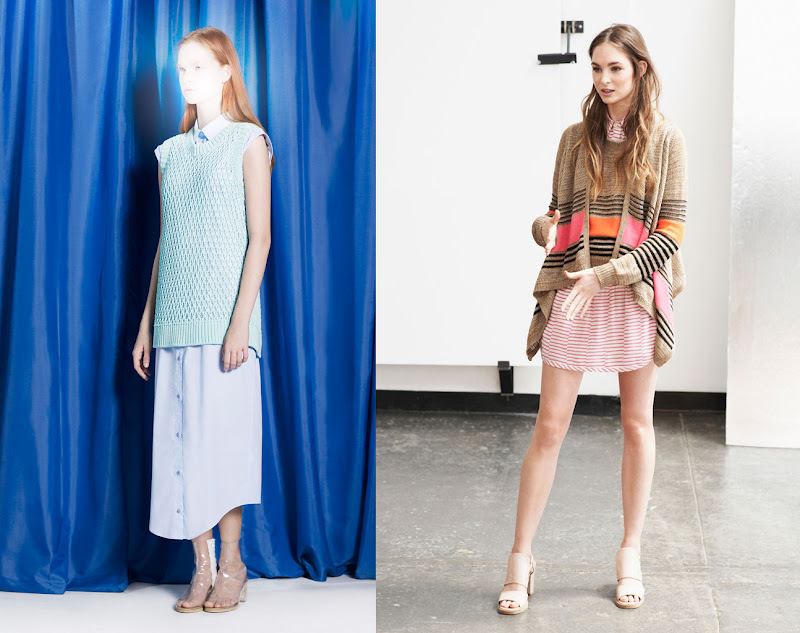 A trend that I noticed was the layering of dresses in every thinkable way. I took a stab at styling this trend and gave my best catwalk down my back alley. On the left I am wearing a Marc Jacobs velvet top, Uniqlo shirt dress, Chloe sandals, and Linda Farrow x Luella sunglasses. 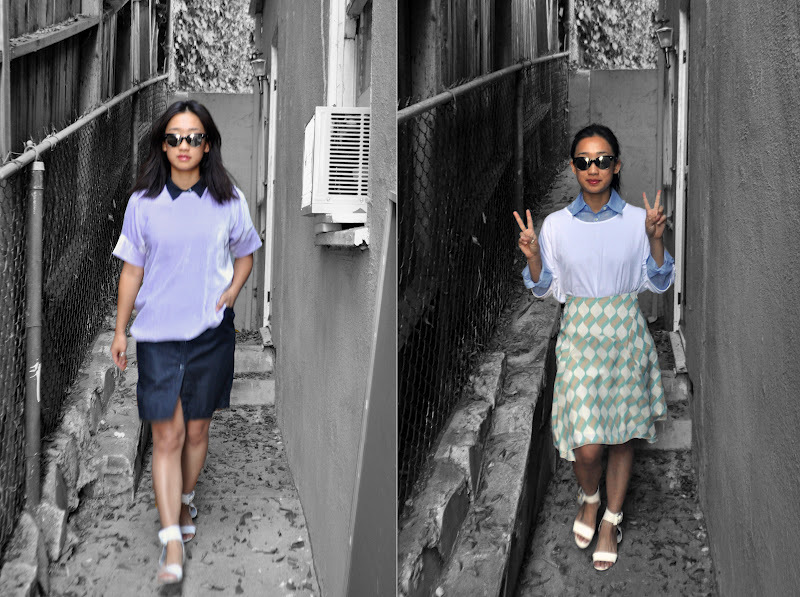 On the right I'm wearing a Banana Republic button down shirt, Stefanel dress, Anthropologie skirt, Chloe sandals, Linda Farrow x Luella sunglasses, and two peace signs. I must remember to actually wear the look on the left out in public at some point cause I quite like it. I went overboard on the Dress Mashup look on the right...circus-prep need not be repeated. Now that we've talked about transitioning to fall, spring is already in the air! Or at least on the minds of the fashion world. I admit that I don't usually pay any attention to fashion blogs or the fashion world, but this time I took a look at a number of different collections. My favorites were my tried and true favorite designer, Lauren Moffatt, as well as Rachel Roy. 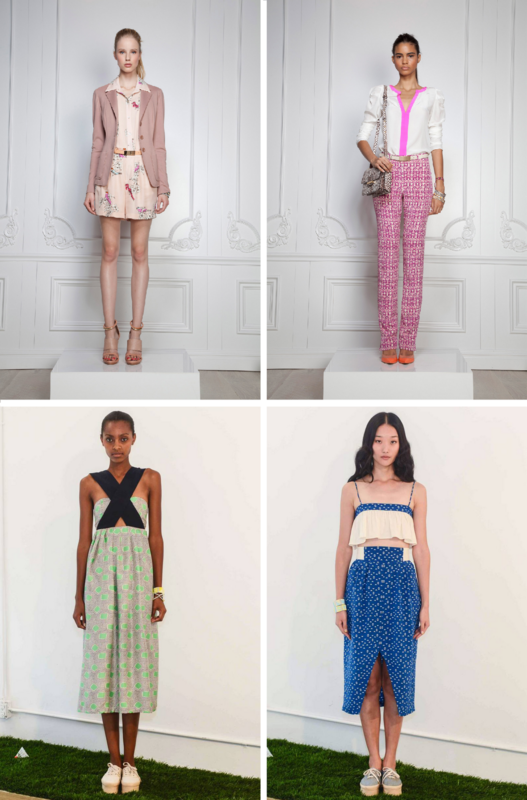 What really stood out to me was the use of color and patterns in both collections. I especially liked the use of white mixed in with colors and patterns. 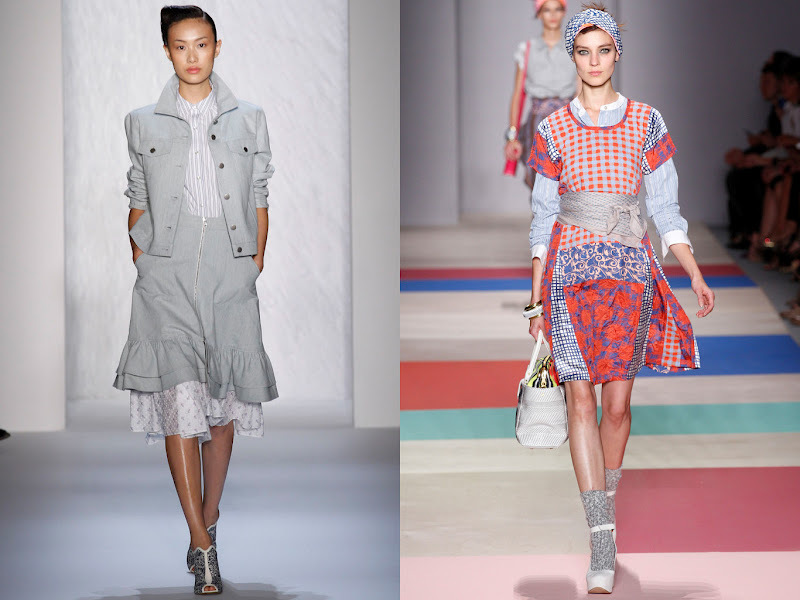 From the runway looks above to real life (aka at a fraction of the cost), I would adopt the use of patterns, dressing it up with a blazer, and the bold use of white skirts in my spring outfits. Fox print sleeveless top from Zara. Navy blue blazer from Zara. White skirt from BR.